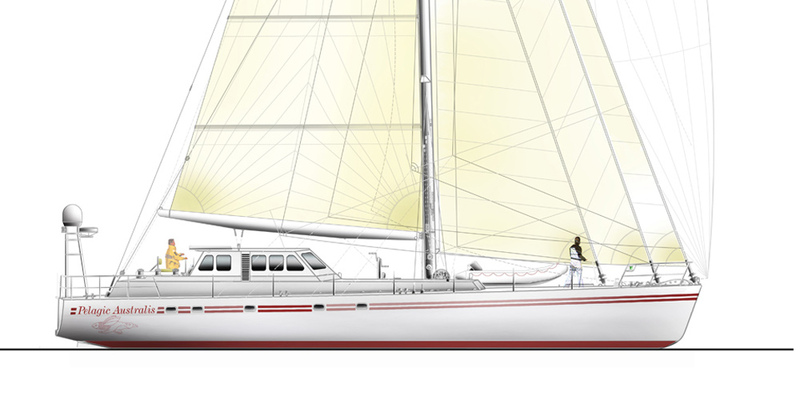 This design is an evolution of the Pelagic concept, which was the result of Skip Novak's first 14 years of high latitude sailing. 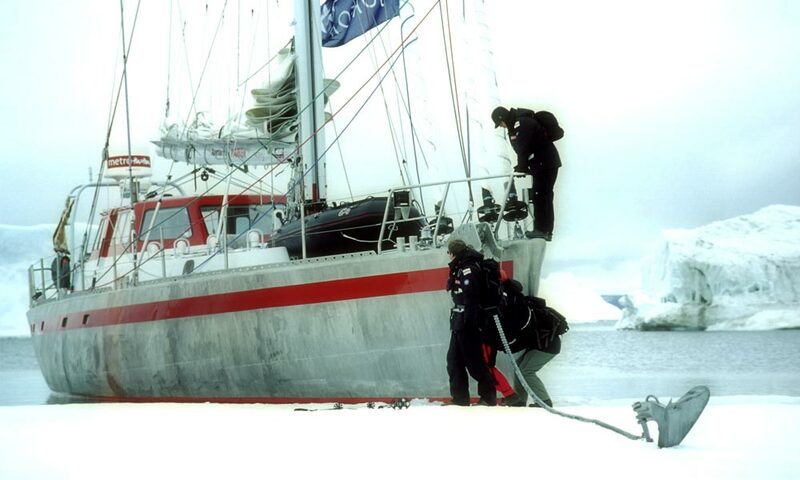 Since her build and launch in 2003 Pelagic Australis has enjoyed 10 demanding years as an expedition charter vessel in both the Arctic and Antarctic including an attempt on the NW Passage. 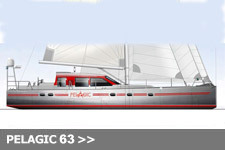 As in the original Pelagic, she has a fully ballasted swinglifting keel, swing rudder and is built of aluminum rather than steel to save on initial build cost as well as on going maintenance, when surfaces are left bare above the waterline. 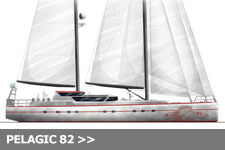 Systems are basic and manual whenever possible including all the sail control systems in view of reliability and repairability while in remote areas. Certified by DNV and MCA coded for 12 passengers (expedition) or eight (for charter guests) and three crew, she is primarily a charter vessel with symmetrical accommodation either side of the keel case and a day area/main salon aft with ensuite galley and communications area. The pilothouse is a gathering point while at sea and at anchorage with a 360 degree view from settees. Centrally heated throughout, well insulated including double glazing on all windows and port lights insures a dry, warm and cozy ambience below. A large walk in forepeak, full standing room lazarette and a heated workshop space means accommodating expedition equipment like diving gear, climbing gear or filming equipment is made easy, rather than a struggle. 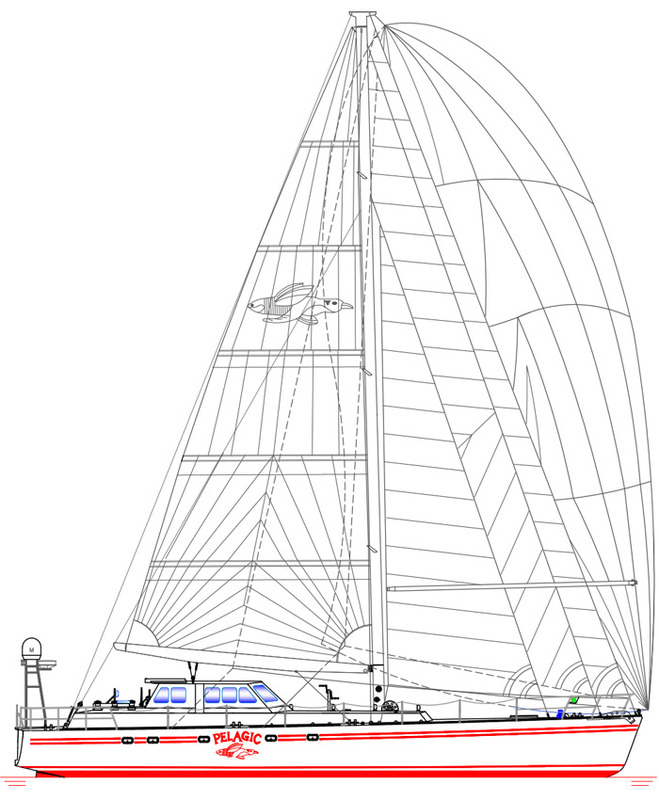 With a modest sail plan including three furling headsails up front, and four reefs in the fully battened mainsail, she can be easily trimmed for any winds in utmost safety for the crew. Crossing the Drake Passage has been described as quite a painless passage by many of our guests! 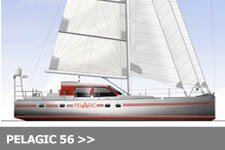 A 250 HP Cummins diesel provides a strong motor sailing capability which is a must in navigating high latitude destinations. 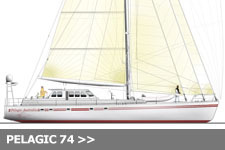 6700 liters of fuel gives her transoceanic range and autonomy for months while on charter. See the News section of the Pelagic web site for stories and video and photo galleries of her ten year history.